A Dental Exam and X-Ray by provide important information about your teeth condition that will help evaluate your oral health. With the help of a dental x-ray during a dental exam, Palm bay dentist Dr. Quadri will know exactly what is happening beneath the surface of your teeth and gums. Examination of diagnostic X-ray (radiographs) – this exam is for detection of decay, tumors, cysts, and bone loss. X-rays also help determine tooth and root position. Oral cancer screening – this is for diagnosis of any signs of oral cancer. A check of your face, lips, neck, throat, tongue, tissues, and gum is done during the screening. Gum disease evaluation – Dr. Quadri will check the gums and bone around your teeth to detect any signs of periodontal disease. Examination of tooth decay – a checking of all teeth surfaces for decay with extra care and the use of special dental instruments. Existing restorations checking – this involves checking current dental fillings, crowns, etc. If you are a new patient, Palm Bay dentist Dr. Quadri recommends getting regular dental exams to determine the present status of your oral health and to help identify changes that may occur later. A new set of dental x-rays may be needed to help detect new cavities, determine the status of your gum health or evaluate the growth and development of your teeth. If a previous dentist has a copy of a current dental x-ray of your teeth, we recommended that you bring them with you when you go in for a check-up in our Palm Bay General Dentistry. Your questions are always welcome. 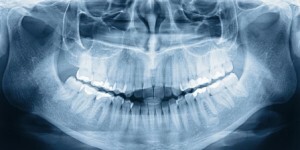 Call Palm Bay dentist Dr. Quadri today to discuss your concerns on dental exams and x-rays.